Creating a password for a website can be a PITA. They require it to be so many characters long. Then you have to use a Uppercase and lower case letters, numbers. At least one special character, but not an underline or a space! Ugh. 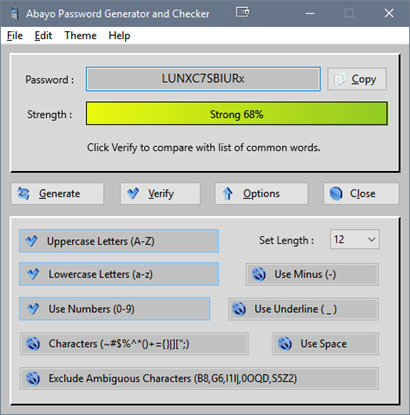 Abayo Password Generator has options that you set. Additionally, it can create passwords that avoid confusing characters, like "B" and "8" or "0" and "O". However, a random password can be hard to remember - so modify it to make it easier to recall. 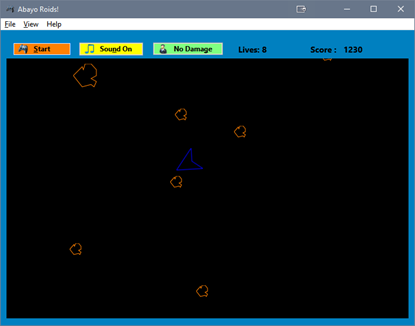 As you type, the Strength will be recaculated. Finally, use the Verify option to make sure you aren't using a very common password. Edit menu - Use copy and paste so you don't have to type in the Password to browser and Password Manager. Common Password List - Click on File -> Edit Password List and the list will open in your text editor. Here you can add new words that you want to avoid using. Options - Toggle the options view to show or hide password generator options. 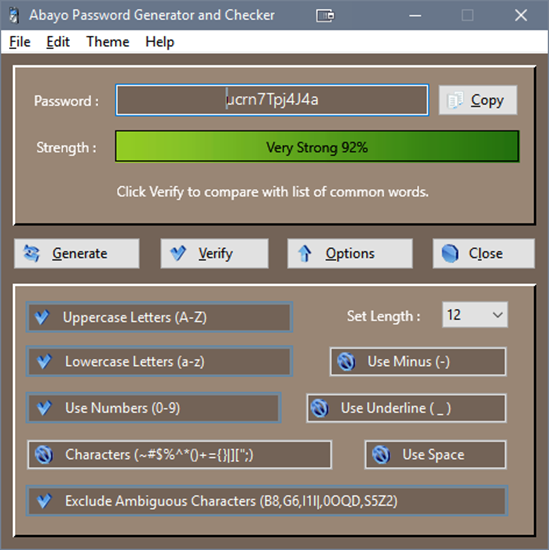 The Abayo Password Generator will store these prefrences and will open the next time with your selected optoins.